Working on a computer is distracting to say the least. I even find it hard to write because facebook, youtube, feedly are all just a click away. I have found myself surfing those sites for far too long during work. This convicted me that I was not “working as unto the Lord” (Col 3:23) and I was not stewarding or making good use of my time. So, I found a tool that keeps me in line. StayFocusd increases your productivity by limiting the amount of time that you can spend on time-wasting websites…StayFocusd is a productivity extension for Google Chrome that helps you stay focused on work by restricting the amount of time you can spend on time-wasting websites. Once your allotted time has been used up, the sites you have blocked will be inaccessible for the rest of the day. It is fully customizable, you determine when it keeps you in line and what sites are issues for you. You also determine what sites you want it to count and how long you have on those sites. Beware if you run out of time and try to give yourself more. Changes won’t be in effect until the next day. They are very good at not letting you give into yourself. 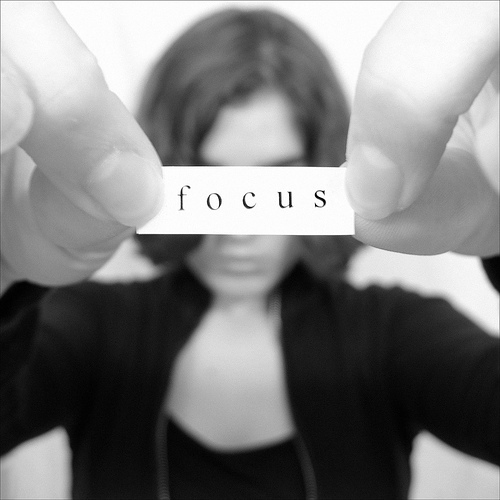 I have used StayFocusd for a few years now and I have not regretted it. I keep myself from wasting too much time at work or even at home, so I will actually work on accomplishing my goals. It has helped me to push toward completing my blogs, my book and tons of other things. One of the best commitment devices StayFocused has for you,if you are particularly good at giving up on your commitments, is the requirement to type an entire paragraph without error before you can make changes. If you are the person who will give up as soon as it gets tough they will hold your feet to the fire if you ask. I haven’t found that I need that level of commitment but I will not judge you. With our kids getting older we felt we needed a home phone. Being who I am I wanted a free home phone. We don’t want a landline , but we don’t want to buy cell phones for our kids either. We thought about adding another line to our Ting.com plan. That would only cost us $6 a month plus usage. Then I realized I could get a free home phone. 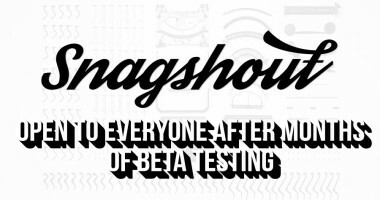 Snagshout is a social deals website that creates a connection between shoppers and brand owners. 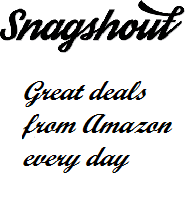 Snagshout offers products at discount prices in exchange for reviews of the products. I had never tried to use this type of service before so I naturally wanted to give it a shot. The big bonus was most of the deals you can snag are through amazon so I felt safe in dealing with them. I snagged a pack of 6 micro USB connectors because we lose and break those things all the time. Normally they are 12.99, but with the supplied promo code they were 1.99 and with my Amazon Prime account the shipping was free and two days. Snagshout made the whole process easy by including buttons directly to he product and the a button to send me to the review page once my purchase was complete. I wrote the review after I had time to test out the cables (which worked fine, it was a simple product) and it was approved by Amazon in moments. 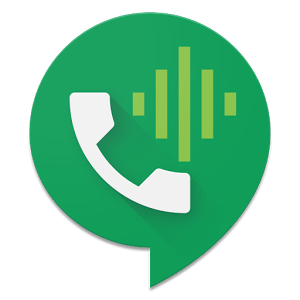 For some reason Snagshout had some trouble finding my review and after a three days I simply pasted the URL for my review into their handy field and it was approved by Snagshout a few hours later. The process was clean and easy. My wife picked up an immersion blender for $10 and had no trouble with her review approval, so perhaps I did something wrong. Let me know if you have issues if you check it out. The products Snagshout offers seem to rotate in and out, I am seeing items now I didn’t see before and some items I thought to come back and claim are out so it would be good to check regularly and see what they have available. There are tons of places we all waste money every day. Here are some big ones I have learned about the hard way. Check the list below and see if you are wasting money with any of these. Giving Uncle Sa m an interest free loan – Why should you let the government hold onto your money all year only to give it back to you interest free? 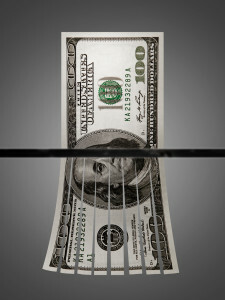 Check out our article on “Giving Yourself a Raise” for more details. Carrying a balance – If you are have $1000 on a credit card at 19% you are paying $190 a year in interest. That same money in a savings account would earn you about $19, if you are lucky. Ignoring little things around the house – Small issues around the house may lead to larger issues if not resolved. Fixing things earlier will save you money. Not giving to to your 401(k) – Make sure you understand how your companies 401(k) works so you can get the most out of it possible. If your employer will match any part of your contributions you are leaving money on the table by not contributing. There may be other employer benefits you are not taking advantage of. Paying bank fees – It happens to the best of us, we forget to pay a bill, (Which is why you should automate your finances) or you overdraft. 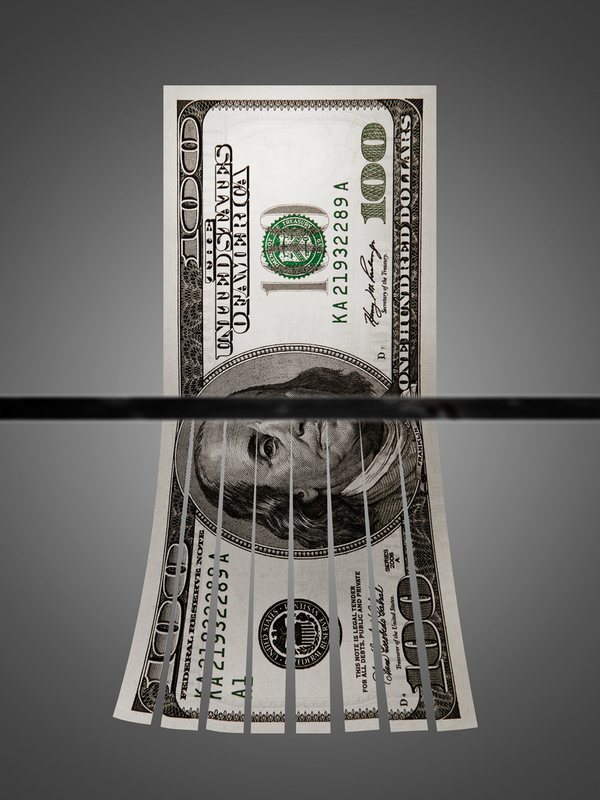 Leaving money on the table – Ever gotten a rebate you didn’t follow up on? Ever added money to an online service you stopped using and left the money there? I have I still have $25 in a Pokerstars account and a few dollars of credit in some other places. Policies that don’t fit your needs – You may be paying more than you need to for an old policy that doesn’t fit your needs. Are you paying extra for a low deductible? Or are you missing discounts you didn’t qualify for before? Driving stupid – I always laugh at the people who speed around me just to sit at the same light I was already slowing down for. So much gas (and therefore money) is wasted by stupid driving and poorly inflated tires. What other ways do you see money being wasted? Tell me in the comments, I would love to hear from you. People are always looking for different ways to save money and spend less, some of which are very creative. I am one of those people and a new site I found not only allows me to save money and time, but also helps me keep in line with one of my decluttering rules: For everything that comes into the house I get rid of one. Paperbackswap allows you to trade your used books for books from other users across the country. You put books you don’t want any more on your list for other members of the site to view. When someone requests a book from you, you send it to them at your expense although you can use Paperbackswap bulk discount if you so choose. You then get a credit that you can use to request a book from the catalog. When you request a book it is sent to you by a member who currently has it listed in their available books. You are free to keep the book as long as you like, when you receive a book it isn’t a loan. You are under no obligation to put it back on the list, you own it. Paperbackswap currently lists just fewer than 4.6 million titles in their catalog which is ever changing. You can even put in a request for a book that isn’t listed yet so you will be in line whenever someone posts it. The idea was sound, so I had to try it for myself before I could recommend it. I posted my first 10 books (to get my two free credits) and was shocked at how easy it was; I simply entered the ISBN numbers from the back of the book. They are fairly particular about the books they accept as far as their quality goes, I like to highlight and make notes in my books occasionally and this isn’t allowed unless it was a text book then there are different rules. I immediately got a personal message from my personal guide. I immediately asked “Are you a real person?” I was assured she was although the first message was automated. So, I do have a personal guide through my swapping needs, always a nice plus to have that kind of help. I still need to try just printing the address so I can simply put it in an envelope and send it. Which I think may be my least expensive method. When I finally received my first book it was in excellent condition and arrived less than a week after I ordered it. If you choose to do so, Paperbackswap tracks the books every step of the way using the USPS delivery confirmation service. So, you shouldn’t have to wonder when your book will arrive. It seems that the books I read are very popular but have a very specific market. So the books I have posted are going as quickly as I post them. In fact using Paperbackswap‘s ”wish list” you can automatically request a book as soon as it is posted. Apparently people were wishing for my books because they are flying out my door, it has created a little extra work but you only have to put up the books you are willing to send so the amount of work you have is up to you. However, since I want to read books in this same niche` there are a lot of people wishing for them but not a lot of people posting them. So, I have some credits stacking up. It seems if you just want fiction books they seem to be easier to come by than their non-fiction counterparts. Have you tried it? Does it sound like something you would try? Let me know what you thought of the review so I can improve. There are always people selling products that you can make yourself. I have found some easy ways to save and recycle around my own garden that you may help you. 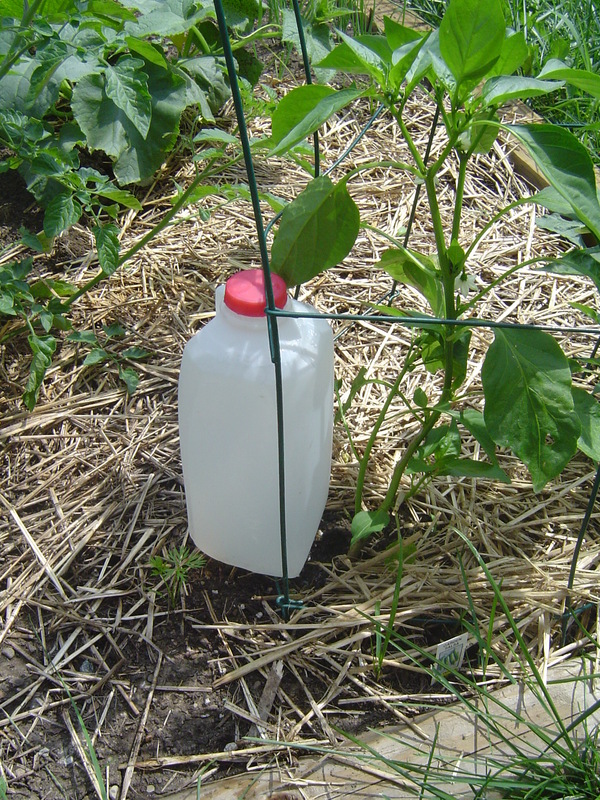 A simple trickle watering system is an easy way to save money and water. Plastic Milk Jugs as Watering System — I have used these to help me save time while I water my plants and water more effectively. I put a few small holes in the bottom of the bottle and fill it with water and then set it at the base of my berry bushes. The water seeps out slowly allowing the water to sink in and water deeply instead of just on the surface forcing the roots deeper in to the ground for a healthier plant. 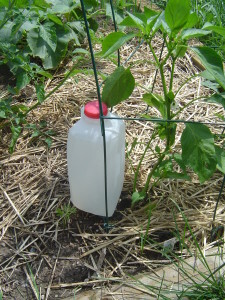 If you use just one small hole at the bottom and one at the top it is a great homemade drip irrigation method. You don’t lose water to evaporation like you can with sprinklers and you don’t water where you don’t want plants so weeds have a tougher time growing. I have also buried half gallon jugs in the ground again with holes poked in the side beside the plant and then filled it up with water and capped it. The water seeps out slowly again watering the roots of the plants and making for stronger plants. Homemade Mulch — We have a large mulched area in our back yard and we also had a bad ice storm tear through our area that took down a lot of our trees. So we rented a chipper and went to town, in just an hour we had a lot of mulch to help cover our garden. I wouldn’t recommend putting it near the house because of insects but this is at the back of our property. The money I spent on the chipper was less than the cost to have the waste hauled away, or to buy enough mulch to cover the space. Compost – If you have houseplants or a garden you probably already know the value of compost, but did you know there are ways to compost that don’t involve large piles of waste and that smell? There are plenty of plans on the Internet to build a worm compost bin. Worms eat your food scraps and produce great compost. I recycled two plastic storage bins to build my compost bin. As we were cleaning our out our house and eliminating junk we had extra bins. Plastic Containers — A lot of cold cuts not come in clear plastic containers that are perfect for washing and using again. In fact they look exactly like a name brand storage container. Why pay for new plastic storage containers when you already have some in your meat drawer. Newspaper pots – If you still actually get a newspaper, I pick up a few just for this tip now, you can make biodegradable seedling pots from them. Here is a great instruction over at instructables.